It can´t possibly have slipped anyone’s attention that – for a man dead more than 500 years – Richard III is getting an enormous amount of attention. The reason for this is of course that the date of his re-interment is drawing closer, the finish one might presume of the in deed fascinating discovery of the long lost king in a car park just over three years ago (September 2012). 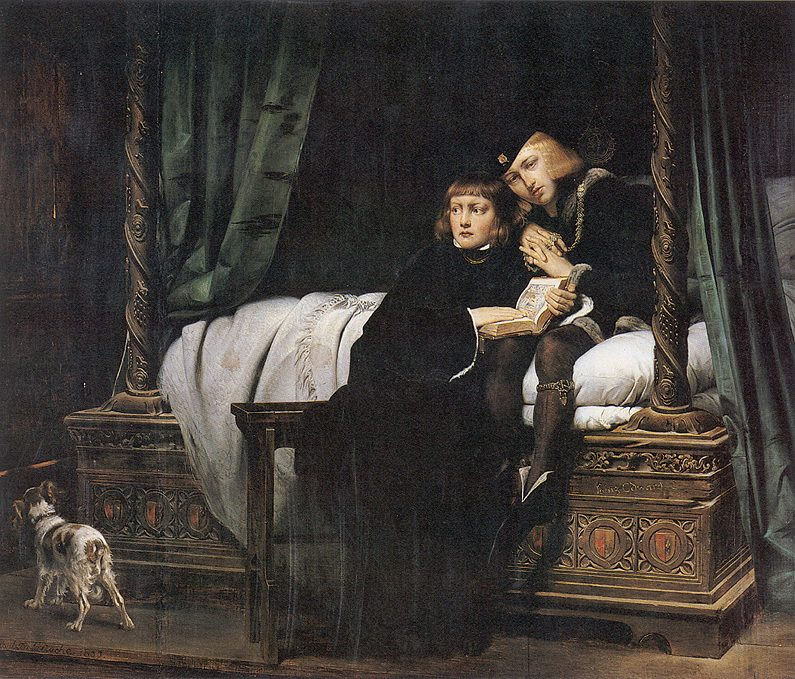 For me personally it has brought to mind one of the great mysteries in history, an event that he has been blamed for over the centuries; the disappearance of the boys Edward of York, the heir of Edward IV and his younger brother Richard on Shrewsbury in the Tower in the summer of 1483. It all started of course, when Edward IV died in April that same year. 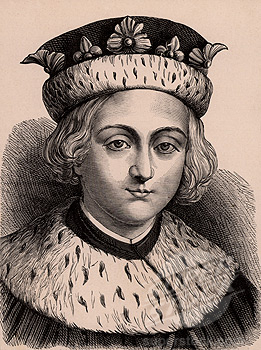 To most people, it would have been obvious that the 12-year-old Edward should enter the throne as Edward V. His father, the late king, had proclaimed his youngest brother, Richard of Gloucester, as Lord Protector during the young kings minority. This triggered a number of events, not least that the dowager queen Elizabeth sought, once again, sanctuary in Westminster Abbey together with her children, except Edward, who had his own household in Ludlow Castle, supervised by his uncle Anthony Woodville. Gloucester had little love for the Woodville’s, who were seen as having too much power due to the queen, and he decided to take charge of the young king as he made his way to London for his coronation. The young king was sent ahead to Stony Stratford, while Woodville, Richard Grey – Elizabeth Woodville´s son by her first husband -, Gloucester and the duke of Buckingham stayed on in Northampton. The following day Woodville and Grey were arrested just outside Stony Stratford, accused of conspiring to murder Gloucester, something for which there exist little to no evidence. If the Woodville´s had indeed been planning to murder Richard, there is reason to believe that they would had taken greater precautions when approaching London, neither is there reason to think that they would have allowed young king Edward to ride ahead without them. What did happen, how ever, was that both Anthony Woodville and Richard Grey were executed at Pontefract Castle on the 26th of June. The opinion varies in regards to if they got a trial or not. 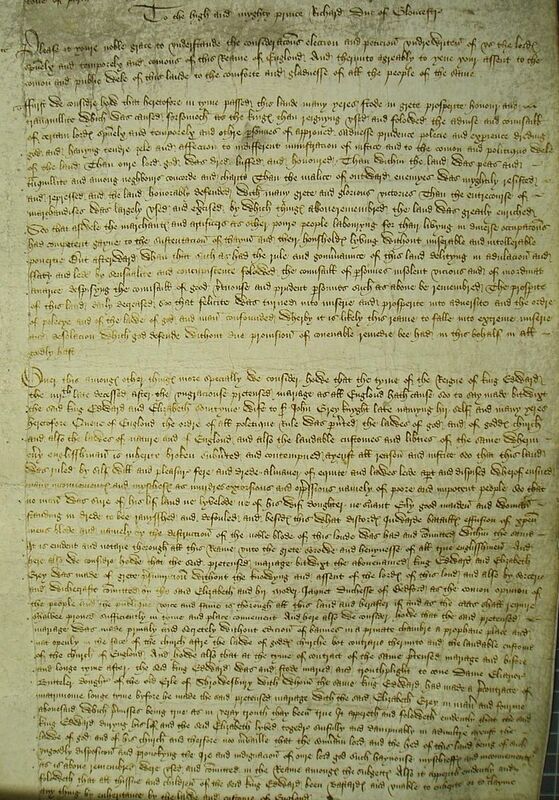 The Croyland Chronicles claim they didn´t while the contemporary historian John Rous claim they did, with the Earl of Northumberland acting as judge. Personally I wouldn´t trust John Rous too much, as he is known for praising Richard III as the good lord while he was on the throne, only to literally paint him as a monster during the reign of Henry VII. That tells me that he would be of the opinion he was told to be. The next step of Richard, after whisking Edward of to the Tower of London, allegedly to await his coronation there, as a long line of kings before him, was to have the children of his brother, Edward IV, declared illegitimate, this of course including the heir to the throne. The reason for this should have been an alleged plight-troth – a betrothal in modern words – to a Lady Eleanore Butler two years previous to his hasty marriage to Elizabeth Woodville. Robert Stillington, bishop of Bath and Wells, who also claimed to be the one performing the ceremony, made the allegation. It should be known that Stillington had spoken out against Edward in other matters already in the 1470´s and may have had his own reason and gain to discredit the dead king and his offspring. The theory have how ever been accepted as true by Ricardians, not least George Buck, 16th century historian who claimed that he had seen the original document which was later conveniently lost. Other historians discard the theory, not least due to the fact that Eleanor Butler herself didn´t say a word at the time of Edward´s marriage to Elizabeth, or in the following years. Even so, Richard issued a Titulus Regius in 1484, when Edward V and his brother had already been gone from public eye for almost six months. In the document, it was also claimed that Elizabeth Woodville and her mother, Jacquetta of Luxemburg, had used witchcraft to bring about the marriage, which made Elizabeth queen of England.